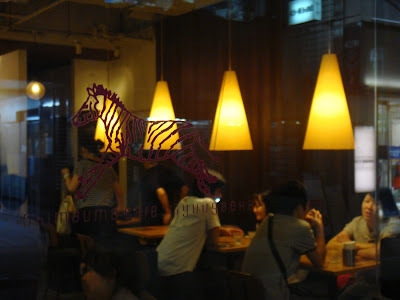 We visited this shimauma cafe ("shimauma" means "zebra") after our little tour to Paris Seveille last Saturday in Jiyugaoka. 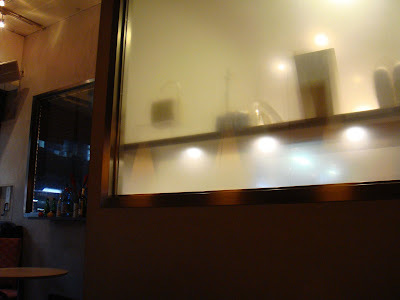 Could you see the zebra sign on the glass screen? I am not sure why they call it shimauma cafe but it was told that there is a zebra doll inside. Anyway I did not care to find it because the reason I stepped in the cafe is that I saw it was ranked the 2nd best cafe in Jiyugaoka on a website. I still doubt the ranking but undoubtedly the garlic rice was very good. It was a simple food but it tasted terrific. 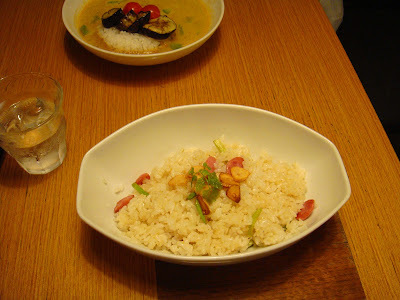 But I would prefer more vegetable for the dish, to make a more perfect balance considering the price of 900yen. The kitchen was small. With only a staff preparing all the food and drinks. Or maybe the other staff who was taking the order will help if needed. 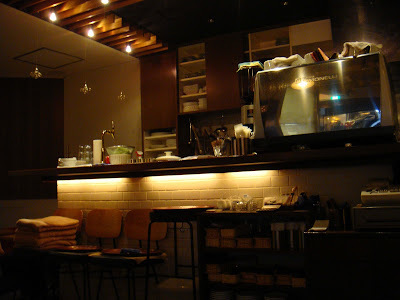 But in either case, 2 staffs for a cafe of more than 25 seats is a hard work. Wonder if they can really manage it. Luckily we were the 2nd customer that day, did not have to wait very long.